From time to time, we’ll be talking to great Australian authors about their local history and what inspired them to start researching and writing their stories. 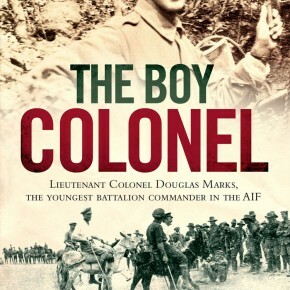 This week we talk to Will Davies, author of The Boy Colonel. Will Davies is a historian, writer and filmmaker. 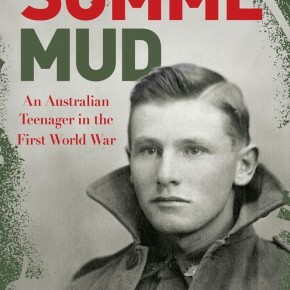 Somme Mud: The war experiences of an Australian infantryman in France 1916-1919, which he edited, has become a bestseller in Australia the UK and The Netherlands. 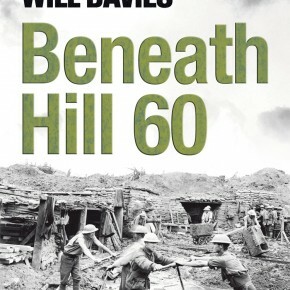 Beneath Hill 60 tells the true-story of the Australian miners and soldiers who tunnelled under Hill 60, near Ypres, and shattered the German frontline ready for the attack on Passchendaele. It was a blustery day on the 25th January 1920 at Palm Beach, to the north of Sydney, and the surf was wild. Two attempts had already been made to save a young woman caught in an undertow and dragged out when a young man – skinny, gangly and frail, and known to be a poor swimmer – threw off his coat and shoes and raced into the surf. As his fiancée and young nephew watched, the sea closed over him and he disappeared. His body was never recovered. This was the tragic fate of a gallant, highly decorated and promising young man named Douglas Gray Marks. 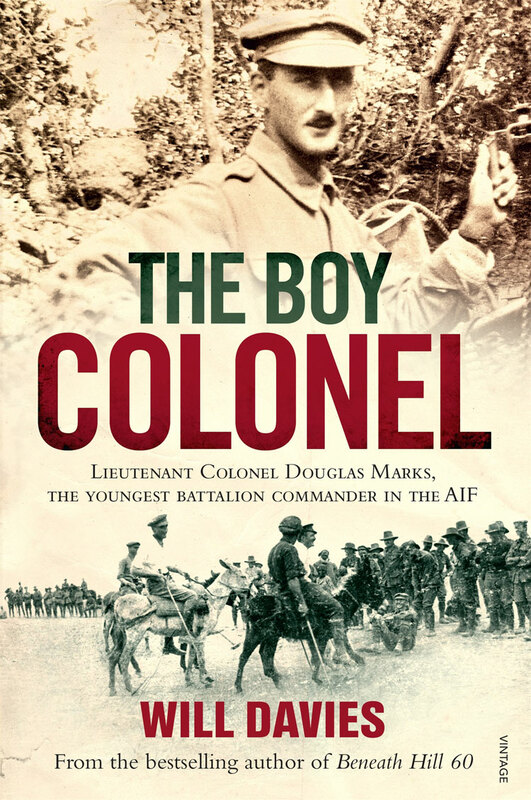 The Boy Colonel tells the story of Lieutenant Colonel Douglas Marks. Marks became a Colonel at just 22 and the youngest battalion commander in the AIF in WWI and highly regarded as a future leader. Marks served in some of the war’s bloodiest battles: Gallipoli, Pozieres and Mouquet Farm, Flers, Gueudecourt, Stormy Trench and Bullecourt on the Somme. He returned to Australia after the war, aged 24 years, anticipating a bright future. IHM: Q. What inspired you to start researching and writing? Will: I had come across Douglas Marks when writing a battlefield driving tour for DVA in 1998. On the title page of his battalions History was a dedication to him, mentioning he was a Colonel (at 22 years of age) and was lost in the surf at Palm Beach in 1920 “while attempting to save a stranger from the undertow”. This intrigued me and led me on a long course of research, including finding his family in Sydney. IHM: Q. Which resources did you find most helpful? Will: The three most important research resources were his personal diary, the 13th battalion war diary and the Battalion History written by Thomas White in the early 1920’s. IHM: Q. What resources did you come across when researching your books that hasn’t been widely used by others? Will: With many resources now on-line at the AWM, National Archives of Australia and the State Library, there are not many that have not be read and turned over to some degree. Private documents held by the family are the best, as re unread letters from battalion members, many of which are not digitised yet available. IHM: Q. Was there any information you uncovered that stopped you in your tracks? Will: Not really. Having not read a lot about Gallipoli, there was a lot of new information I did not know and many stories surprised me. However the Western Front is familiar to me, and I know the battlefields well, being a historical tour guide. I’ve also read extensively but personal stories and incidents continually come up and these are often a great surprise and quite extraordinary. IHM: Q. Which stories affected you the most in the course of your research? Will: The most amazing stories are of heroism and bravery; how men were so focused on their task and unconcerned about their likely fate. I’m also affected by the compassion of men, their attitude to their mates suffering and discomfort, even their attitude to German prisoners who once captured, they openly befriend. IHM: Q. Which stories amused you the most in the course of your research? Will: Many times you read of the larrikin antics of the troops, the tricks they played particularly on English troops and their disregard for rank and authority. There was a scam going where they would steal British horses, quickly drive them to another Australian unit some distance away, swap for other stolen British horses and then return. The British though suspicious of the quality and number of “Australian” horses and the battalions ability to quickly overcome their losses, was something the British authorities never became aware of. But there are lots of good and funny stories. IHM: Q. If you could track down one thing you haven’t yet managed to find out, what would it be? Will: I could not find out much about the fiancé of Douglas Marks and what happened to her. This is something I must do more work on, just to satisfy my inquisitive nature. IHM: Q. What’s your best tip for people wanting to write a history book of their own? Will: I would say, get a strong story and one worthy of a book. There are many amazing characters in history but there is often little knowledge available about them. Just ask yourself: is this subject matter worthy of a book as you are about to embark upon a major task (80,000 words +) spend a lot of time, money and effort on something that must be worth it. And there must be a “market”: someone to read it when it is done and a readership likely to be interested. IHM: Q. How did you go about bringing the characters and stories to life? Will: I believe the characters must tell their own story, ideally in their own words. I do this by extensive us of quotations as I cannot say what they have said, cannot even re-write in my words what they have said – it must be their language and their “voice”. This is the secret to bringing history to life and the great advantage of primary sources which I always try to work with. IHM: Q. How do you know when you’ve written a good book? Will: To be honest, you don’t. You hope you publisher and your editor likes is but as for being a “good book” – this can only be determined when the critics have had their say and the numbers sold start to come in.